Wastewater treatment is essential from both a public health and environmental protection perspective. It is often seen as a necessary burden, a drain on resources that is required to prevent the negative impacts of uncontained and untreated sewage. The most burdensome resource drain is energy, as established conventional wastewater treatment technologies require around 0.5 kWh of electricity to treat a single cubic meter of wastewater. Also of increasing concern is the carbon footprint of wastewater treatment, both associated with the energy-intensive processes used and with direct emissions of greenhouse gases such as carbon dioxide and methane. 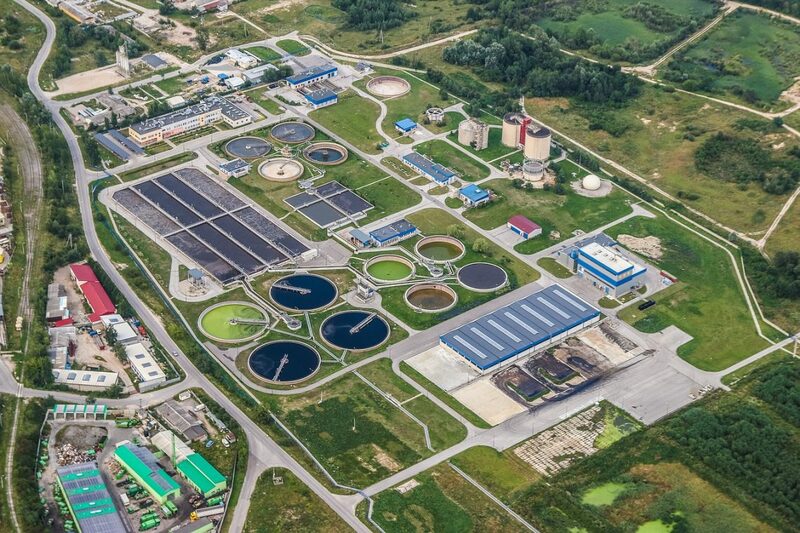 However, wastewater is being increasingly recognized for the recoverable resources it holds, and opportunities exist to not only reduce the amount of energy required for treatment but also to recover energy in the form of biogas. One treatment process that can provide these benefits is anaerobic stabilization ponds. 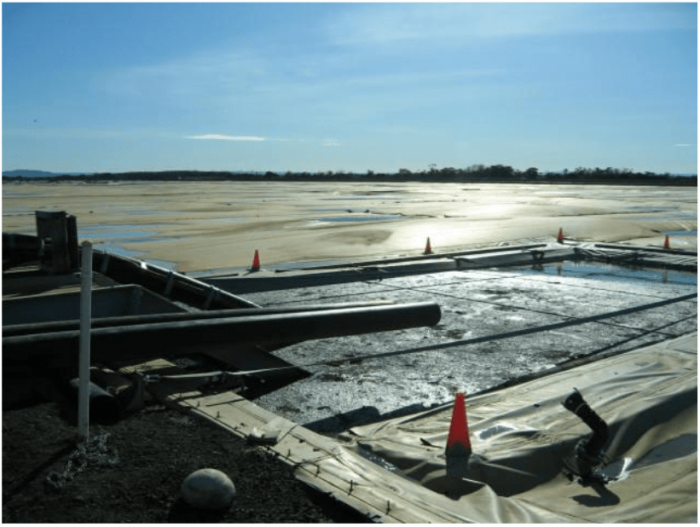 Anaerobic stabilization ponds, also called lagoons, mimic natural remediation processes that can occur through the concentration of anaerobic microbes. The ponds allow the settlement of solid matter in wastewater to the bottom of the pond, where the microbes break it down into simple compounds such as water and methane, with smaller amounts of carbon dioxide and sulphur dioxide. The water that passes out of the anaerobic pond will still require further treatment, but around 40-60% of contaminant measures such as Chemical and Biochemical Oxygen Demand will have been removed, decreasing the contaminant burden for latter treatment processes. Covers on the anaerobic ponds at the Western Treatment Plant, Melbourne, capture around 71.5 Gigawatt hours of electricity every year, enough to power the rest of the treatment plant. This energy balance can also be harnessed for smaller treatment works. Image courtesy Peter Cruddas. The simplicity of the systems have made them attractive in developing countries, but they have often been overlooked in more developed countries as traditionally they have required a lot of land and, when left open to the atmosphere, can emit odors due to the sulphur dioxide generation. If their design could be improved to intensify the process, less land would be required, and covers on the ponds would be more practical, enabling the methane-rich biogas to be captured, both eliminating odors and providing a renewable energy source. This potential led us to conduct our study, “Development of a staged anaerobic pond for methane recovery from domestic wastewater,” published in the journal Ecological Engineering. A traditional anaerobic pond is rectangular with a length three times its width. Our intention was to investigate ways to change the physical design of the pond in a manner that would retain the pond’s advantages of requiring little or no external energy, whilst enhancing the microbial activity so that more biogas could be generated, and the overall size of a pond (for a given treatment flow) could be reduced. The approach we used was to investigate different styles of baffles – walls within the standard pond structure that would divert the flow in different directions. Our hypothesis was that these changes in flow patterns would encourage different degrees of mixing between heavier sludge particles, containing the microbes, and the liquid wastewater, containing most of the contaminants. We conducted the study on two different baffle designs – horizontal baffles which are block the entire height of the pond, leaving a gap at alternating sides of the pond for the flow to pass through; and vertical baffles, which extend the entire width of the pond but have alternating gaps at the bottom and top of the pond, so the flow is diverting over and under them. The studies were performed on real domestic wastewater operating 24/7, to get an accurate indication of how the two different designs would perform. In addition, the flow regimes of the designs were modeled with a 3-dimensional Computational Fluid Dynamics (CFD) to gain a clearer understanding of how the baffles would affect flow patterns. The results showed that the horizontal baffles were better at performing the early stages of the methane generation process (hydrolysis), as they allowed solid particles to settle easily, and then degrade into smaller, soluble by-products (fatty acids and acetate). However, as the sludge was settling on the bottom of the ponds, these by-products were lost to the liquid flow and so the methane-generating process was left largely incomplete. In the vertical baffles, the solids removal and hydrolysis were not as efficient, but there were fewer soluble by-products found in the effluent, indicating those that were generated were able to complete the final step to generating biogas (methanogenesis). 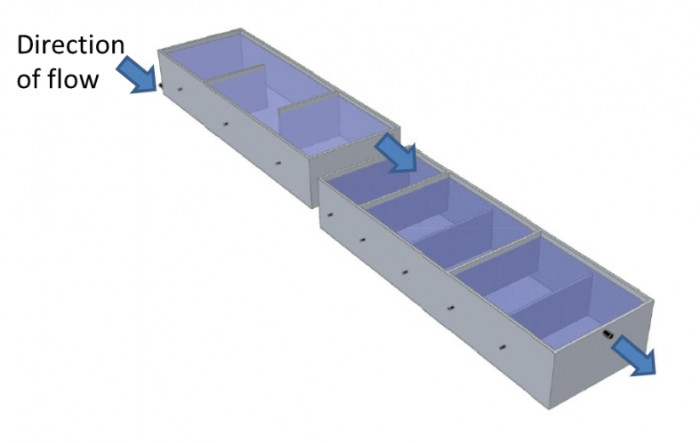 The CFD results also showed that the use of baffles prevents inflow from passing directly through the pond to the outflow – a phenomenon called short-circuiting – which reduces the time wastewater spends in the pond and means the biodegradation process do not have time to complete. Diverting flow by using baffles means the flow is recirculated more within the ponds, increasing opportunities for treatment. The two-stage anaerobic pond developed during the study aims to maximize biogas production for small-scale ponds, by providing optimal flow conditions for the two main stages of gas generation – hydrolysis in the first stage, and methanogenesis in the second stage. Image courtesy Peter Cruddas. As the horizontal baffles proved so effective for the early stages of biogas generation, and the vertical baffles more effective for the latter stages, we progressed the research to connect the two systems in parallel. The intention was to create a two-stage process, where the horizontal baffles would encourage the generation of the soluble by-products through hydrolysis, and these by-products would be further degraded to biogas in the vertically baffled stage. Initial operation of the staged anaerobic pond found promising results in terms of biogas production and overall treatment and hydraulic performance, compared to a control pond operated as a single-stage horizontally baffled unit. A more comprehensive study of the staged anaerobic pond, including changing loading rates for finding the limit of the intensity of the process, have now been finalized and the results expected to be published soon. 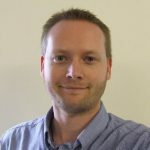 If the staged anaerobic pond can perform at larger scales as it has in the pilot trials, it may offer opportunities in developed countries to resolve performance and cost issues at smaller wastewater treatment works, whilst providing renewable energy to help power other units at the works. These findings are described in the article entitled Development of a staged anaerobic pond for methane recovery from domestic wastewater, recently published in the journal Ecological Engineering. This work was conducted by Peter Cruddas, Ewan McAdam, Nikolas Asproulis, Antonios Antoniadis, Ilyas Ansari, Bruce Jefferson and Elise Cartmell from Cranfield University, UK; Gavin Collins and Estefania Porca from the National University of Ireland, Galway; David Best from Halcrow Group; and Miguel Pena-Varon from Universidad del Valle, Colombia.